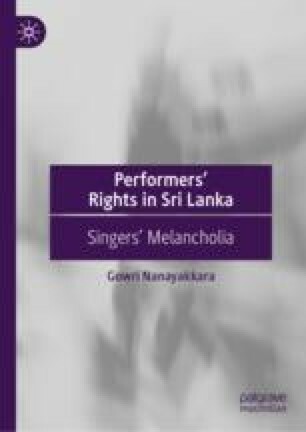 An exploration of the emergence and development of the Performers’ Rights Regime (PRR) demonstrates how technological advances and the intentions of maintaining authorial supremacy played a prominent role in shaping the international PRR. While concerns about technological unemployment of performers supported the creation of the PRR at the international level, the need to acknowledge and maintain authorial supremacy over performers seem to have limited its scope. A focus on these two themes is important to appreciate the nature and limitations of the contemporary PRR, which inherently becomes the main considerations within the legislative exploration. This chapter will commence the examination of the way in which the PRR emerged and developed internationally through a couple of international treaties, Rome Convention and TRIPS Agreement, and the chapter that follows will further this discussion into the expansions of PRR through subsequent international treaties and the manner in which they shaped the Sri Lankan PRR. Bhagwati, J, ‘What It Will Take to Get Developing Countries into a New Round of Multilateral Trade Negotiations’ (Trade Policy Research, 2001) http://www.dfait-maeci.gc.ca.eet/pdf/02-en.pdf.